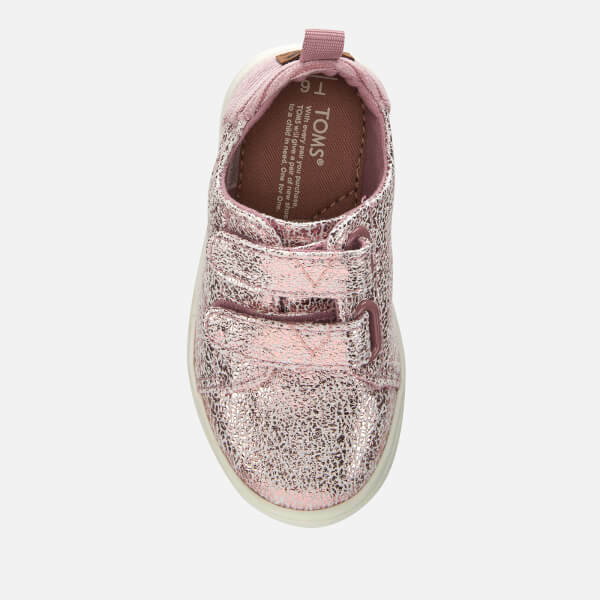 Toddlers' trainers from TOMS with a cracked foil upper and contrasting corduroy heel. The 'Lenny' pumps feature a rounded toe, an adjustable Velcro closure and a heel pull tab for easy on-off. 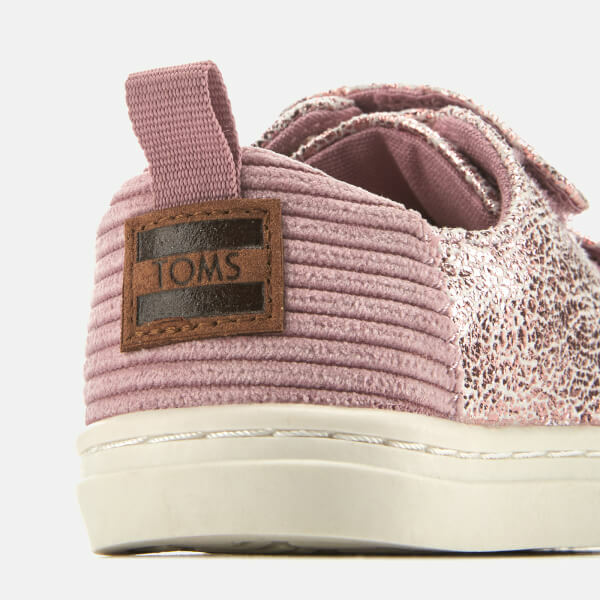 A padded heel counter enhances comfort. Set on a rubber outsole for increased traction. Logo branding.